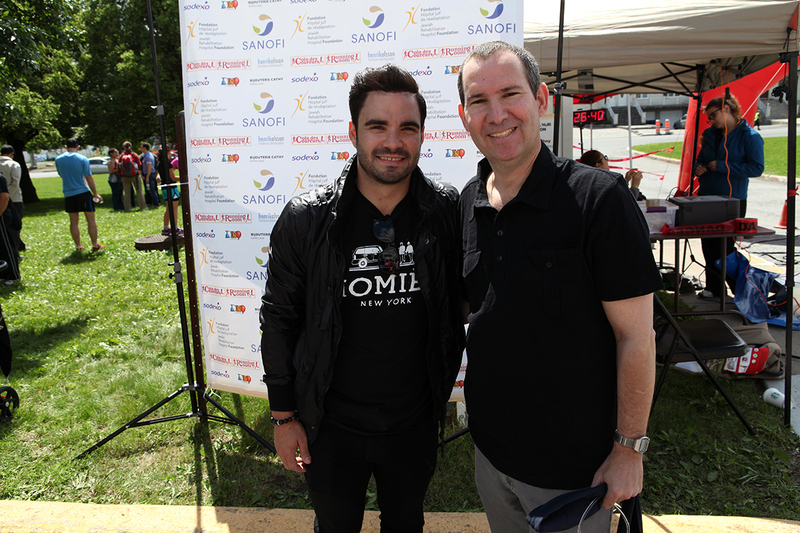 When I initially arranged a few weeks ago to talk to Canadian Olympic diving champion Alexandre Despatie at the June 9 fifth annual Jewish Rehabilitation Hospital (JRH) “Rehabili-Thon,” in Laval I figured I might get a few scoops. Despatie had a pretty low media profile in recent months. Well, at the beginning of the week Despatie announced at a press conference that he was retiring from diving. Oh well, so much for any breaking news on his Olympic career. I could, though, ask him what type of new career he plans to pursue. Scratch that! 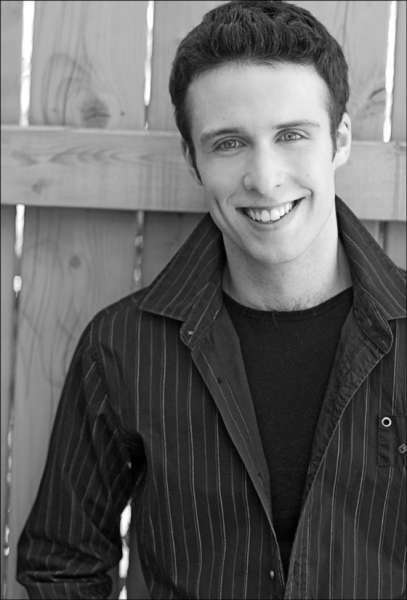 Two days later he was introduced as the co-host of City Montreal’s new Breakfast Television Show, set to debut at the end of August. I thought it over and figured at the very least, this is a great story for the Laval edition of The Suburban. So early Sunday morning I headed to Alton Goldbloom Place, as close as I could get to it that is. 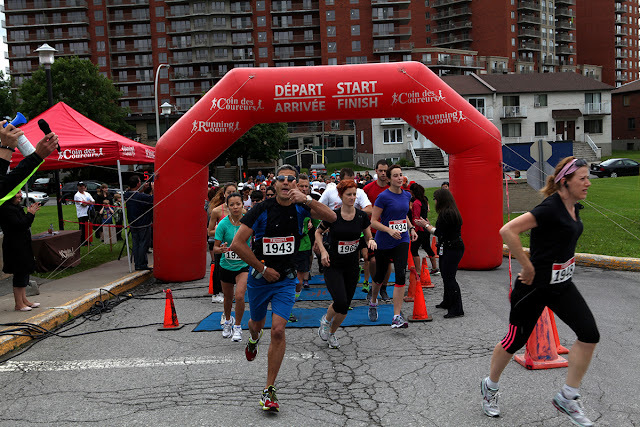 Police blocked off the entire block so I did my own walk-a-thon to the site, which was full of action as 300 people took part in the two, five or 10 km run and walk options. Despatie chose the walking option and did so with his mom. He was raised in Laval sur le Lac and notes that sports and rehabilitation centres go hand in hand. 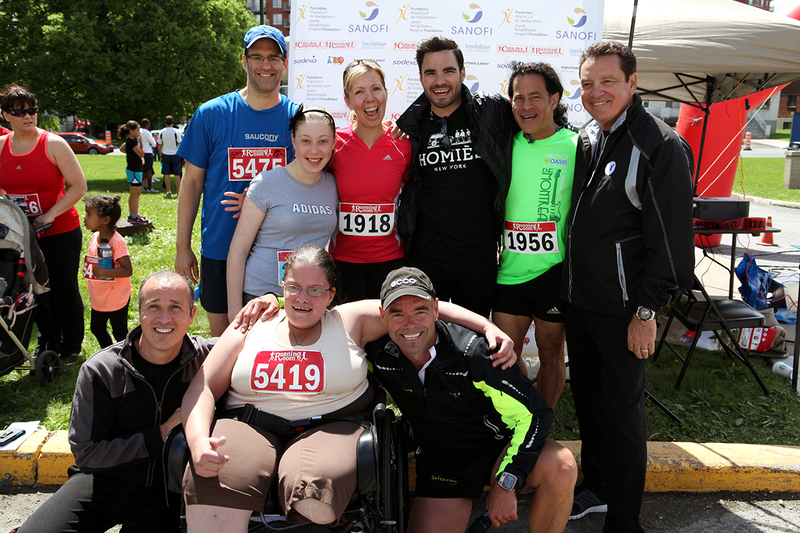 The event had the support of Sanofi Canada, The Running Room and Sodexo, as well as many other sponsors. More than $50,000 was raised for the hospital’s Oncology Department. As reported by CBC, Despatie won silver in the individual three-metre springboard at both the 2004 and 2008 Olympics and is the only diver ever to win gold in each of the 1-metre, 3-metre and 10-metre competitions at the world championships. He competed in his fourth Olympics in London last year but couldn't land on the podium again after suffering a concussion in the weeks leading up to the competition. He hit his head on the board in Madrid in June 2012, requiring surgery to deal with a 10-centimetre gash on his forehead. He had also battled tendinitis in his knee in the months before his last Olympic performance. After my chat with Despatie, hospital president Michael Feil gave me a tour of this attractive and well maintained 126 bed complex. He showed me some of the extraordinary projects the Foundation has funded, including a beautiful walkway and parkette, a coffee shop and gift kiosk and much more. 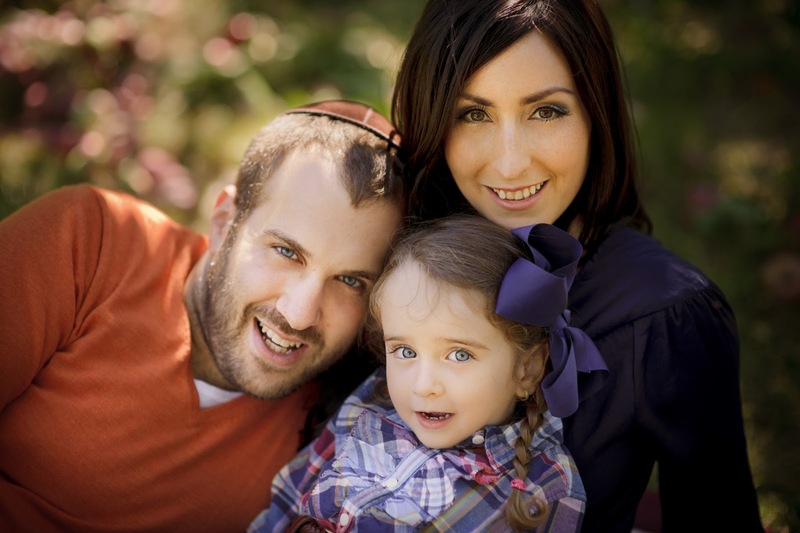 While it is called the “Jewish” Rehabilitation Hospital, Feil underlined the fact that patients come from all walk of life. There is a synagogue here and kosher food, which naturally makes it a comfortable place for Jewish patients. Here is my video interview with Despatie. Despatie with hospital and Foundation presidents Michael Feil and Isaac Israel. (Jonatghan Abenhaim photo). Coverage of Despatie's accident last summer.